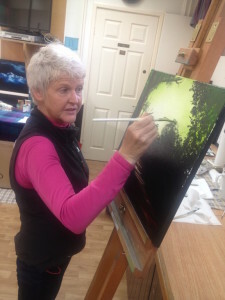 uses a “follow me” approach where she demonstrates each stage of building the picture before students then try the same. 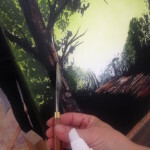 This lends itself well to oils as they need to be worked in a certain, immediate way. 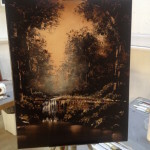 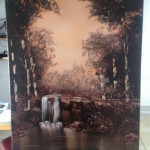 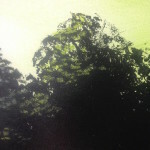 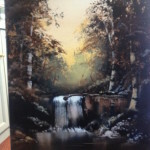 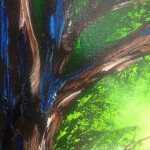 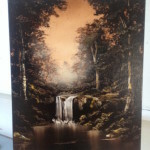 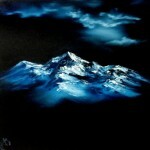 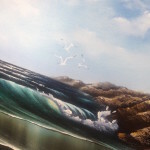 The creation in oils of elements including sky, water, reflections, spray, bark and foliage is as much about trusting the technique to produce the effect. 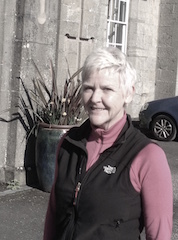 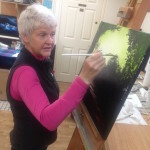 Using a range of tools and, what’s more, EVERYTHING PROVIDED on Carol’s courses so you can just bring yourself… you’ll end up taking at least one completed canvas home with you. 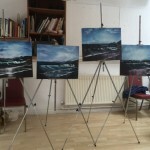 We limit these courses now to 8 people as it seems to offer the best experience. 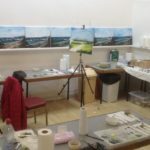 “I would like to put on record how much I and the rest of the class enjoyed Carol Renshaw’s two days of oil painting . 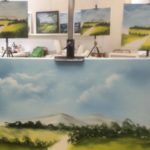 We were all surprised and delighted to come away with two oil paintings of different styles that we had painted using oil for the first time! 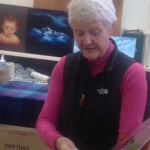 Carol demonstrating with a couple of her pictures behind her! 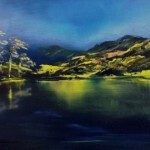 Students all follow the tutor and produce a similar piece on Carol’s courses. 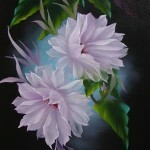 See further examples of Carol’s impressive art work on her SAA page.